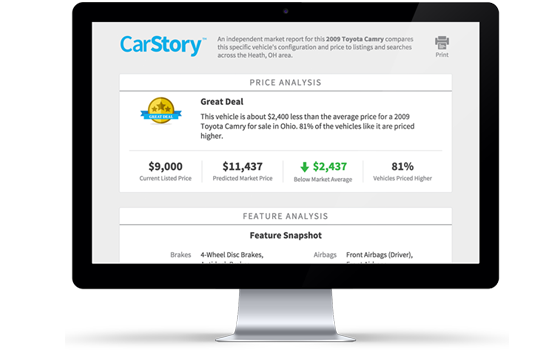 CarStory® Market Reports are embedded on your pre-owned Vehicle Detail Pages instantly merchandising your inventory with compelling local market analytics. With CarStory®, consumers have a better experience, resulting in more qualified visits to your VDPs and to your lot. Dealer Car Search is prepared to include CarStory®Market Reports for our Responsive Website Customers.